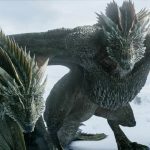 Ramin Djawadi chats about the thrills and challenges of the Game of Thrones Live Concert Experience and George R.R. Martin is set to publish a new A Song of Ice and Fire story in an anthology this autumn. In an interview with The Huffington Post, Djawadi discussed the upcoming Game of Thrones Live Concert Experience and assured us that that the digital rendering of the stage used in online promotions is, indeed, “a close idea” of what we can expect. Djawadi discussed his team’s approach to selecting the music and the challenge of effectively cramming sixty episodes’ worth of music into a single concert. 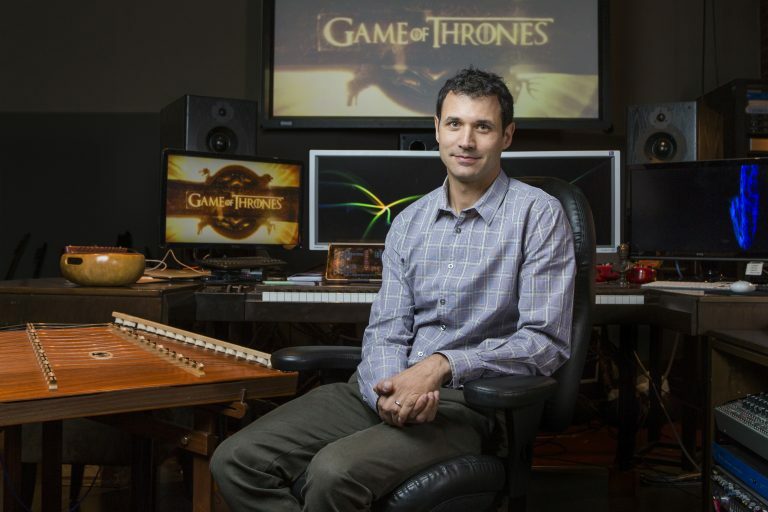 Djawadi also addressed some fan speculation regarding the “lyrics” to one of his stand out pieces from season 6, “Light of the Seven.” Fans have suggested that the vocalists introduced around 4:43 are singing “Arya,” leading some to theorize that “Light of the Seven” foreshadows Arya’s future with Cersei or, perhaps, Wildlife. When the conversation turned to the upcoming seventh season, Djawadi was asked how he scores scenes in which characters with different musical themes meet. 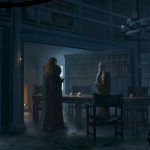 The story’s specific subject matter remains a mystery but some fans speculate that it might be an excerpt from Fire and Blood (nicknamed the GRRMarillion), Martin’s comprehensive history of House Targaryen. Regardless of the precise nature of Martin’s story in Book of Swords, I think we can all look forward to getting a new written work from him this year. The Next Story in the Ice and Fire World: What Could It Be? May George RR Martin outlive us all so I can continue reading new ASOIAF stories well into my 200s. that’s not the story i want to read from him this year tbh. A new story from martin !?!?! could it be a new story for dunk and Egg ? in fact. There- I said it ? I’ll die laughing if it’s a Dunk and Egg or Dance of Dragons related story. If the theme of the book is swords, then something from Fire and Blood about Blackfyre and/or Dark Sister would be pretty cool. Well, it won’t be ASOIAF. That’s for sure. This is from the same author who said he’d finish TWOW like two years ago. I don’t trust him. 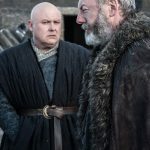 Varys/Illyrio giving Blackfyre to fAegon. Again, I’ll die laughing. His first deadline for TWOW was 2014. Yay,more stuff that isn’t TWOW,wonderful . Not good that GRRM is still doing something else. 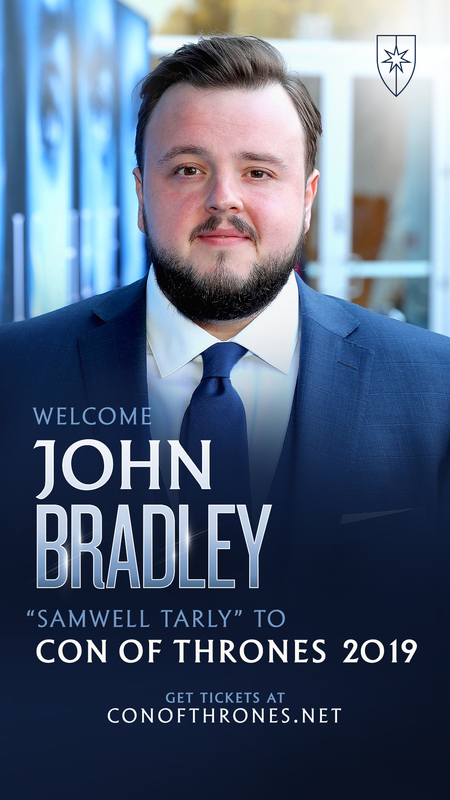 But I was pleased Djawadi denied (hopefully truthfully) that those boy sopranos were singing “Arya, Arya”. When I first heard Light of the Seven a few days before Episode 10 aired, that’s exactly what I thought they sang. I downed a large glass of single malt scotch before watching because I feared it had portended Arya’s death. Whew! Well, that’s an “alternative fact” since there is NO deadline for TWOW. It’s most likely the part of Fire and Blood about Aenys and Maegor that he read parts of at some earlier conventions. That was basically done a long time ago. He hasn’t been writing anything else for a while, per his own statements. Damn, I got excited & was secretly hoping the big announcement was he’s FINALLY publishing the next Wild Cards. He said it himself in a blog post that he was supposed to turn up the book by the end of 2014 and he talked with his publishers that he couldn’t do it . The only reason he gets away with skipping deadlines is because he is famous and they know that whenever it releases it will sell regardless but if it wasn’t for that he would have been in trouble a long time ago . The title “book of swords” made me think of the book maintained by the Kingsguard for some reason. But since it obviously isn’t ASOIF, I am not really interested. Do you work for his U.S based or U.K. based publisher that you have such knowledge? Mayhaps it could be called tone deaf. 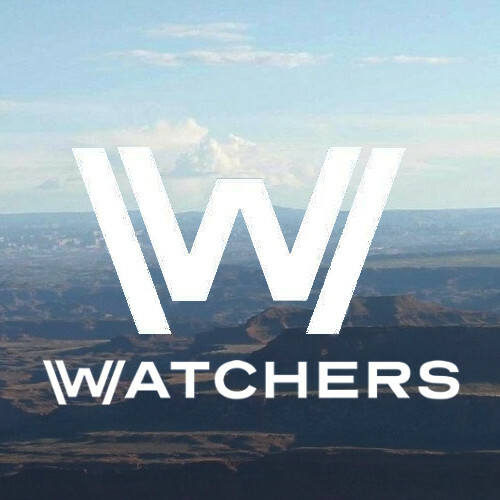 is it a covert place holder for TWOW? I’d say it was more like tome deaf. Just got three tickets last night for Portland (the very last date)!!! My daughter just moved there in August. We’re totally nerding out. Is this good enough for you,or is your fanboyism going to make you ignore this too ? Have you a source for that claim? I couldn’t find anything about it. The only thing I found is the publisher tweeting 2014, that the book will NOT come out that year, which doesn’t sound to me like they agrred upon a deadline 2014. And if I remember right. GRRM said that he has no deadline with the publisher. I bet no one was fooled by the little tease in the title.. Atleast I hope no one did because then I feel sorry for their disappointment..
Nicely done and thanks for reminding me of that post .. I wish people stop making excuses for the man when he himself admits his mistakes . Coming back to the OP . I bet this won't be anything related to Dunk and egg .,but from Sons of Dragon about aegon 3 or about aenys and maegar.. I choose to look at it from a more sanguine perspective: Would it be better to have a never-completed book series and the full 73 hour HBO adaptation, or the completed book series and no TV show? I prefer to commend the author for what he’s already accomplished, and not bash him for what he’s been unable to do. From what I gather, he’s still a prolific writer who enjoys what he does – but when it comes to TWOW and ADOS, all of the missed deadlines and expressions of disappointment indicate that the process has become a terribly unpleasant grind for him. Either that, or he’s unwilling to churn out a bunch of pages of what he considers substandard garbage. Let’s face it: the guy is close to 70 years old. He doesn’t strike me as a tofu-and-treadmill type health and fitness buff. He mines to enjoy life. He’s had a long and productive career, and has the ability to swim in millions of dollars of cash for his efforts. He’s really got nothing left to prove. If the “Mercy” chapter is any indication, he can still write great fiction – when his muse or whatever it is inspires him. But why should he have to? Would it really be so tragic if he never finishes TWOW and never writes ADOS? We’re going to get the ending to the saga either way by summer 2018. I don’t think anyone can begrudge him the time he spends pursuing his interests as a football fan, Hugo Awards Anti-“Puppies” activist, creator of new TV shows, cozying up with and soaking up the adoration of Sybil K (Shae actress), reviewing and recommending other writers’ books, or whatever else he feels like doing. It’s not as if every minute he spends doing other things is one less minute he’d be spending writing TWOW. Considering the self-imposed pressure he must have been under, combined with impatient, entitled “fans” bombarding him with personal insults and impugning his professionalism, along with the self-disappointment he’s publicly expressed — all at a stage in life when one’s physical and intellectual vigor are diminished anyway, it’s no wonder he can’t muster the enthusiasm to immerse himself in writing the book. For him, revisiting the same fictional world must be sheer drudgery. When anyone has to do the same thing over and over again, he or she will inevitably lose interest in what was once a rewarding, pleasurable activity. Having to force yourself to do it makes you loathe doing it. G. Martin might feel like that put-upon carpenter in a way. None of the circumstances in which G. Martin finds himself can be conducive to unleashing the powers of his imagination or applying his literary skills. With virtually the whole world breathing down his neck, it’s no wonder he’s unable to easily summon his muse or muster the enthusiasm to jump back into his fictional world of ASOIAF.  An author (and avian enthusiast) once said – paraphrasing – that a muse is like a baby bird: If you chase after it, it flies away. If you grab it, it bites you until you let it go. If you catch it and lock it in a cage, it won’t sing for you; it’ll just squawk and screech and annoy you because it wants to be set free. But if you occupy yourself doing something you enjoy and don’t bother that little bird, pretty soon he becomes inquisitive; his curiosity gets the better of him and he starts to inch closer to get a better look; and eventually he wants to participate in whatever you’re doing. I assume the author’s point was that when it comes to creative writing, distracting yourself with something you enjoy is more likely to invoke the “muse” than chaining yourself to your typewriter and trying to force yourself to crank out a novel. 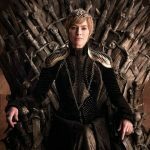 It’s kind of ironic: Lots of folks have no compunctions about discussing “the leaks” of Season 7 without complaining that the leaker has “spoiled” the show or G. Martin’s source material on which the show is based. Yet, there’s so much grumbling that the show outpacing Martin’s writing has “spoiled” or disserved the future books, or that Martin himself has caused his own books to become superfluous. I know people who write for a living; not fictional bestsellers, but speeches and essays that are expected to captivate and persuade audiences. Some of these writers simply calculate the total number of words necessary to meet the desired length, draw up a one-page outline, apportion the number of words for each outlier segment by dividing the total number of words by the number of outlined topics, then regurgitate data and factoids while throwing in a few big words here and there, and spit out a boring piece of garbage as inspiring as a Valium. The real craftsmen let the information and ultimate objectives percolate in their brain until they coalesce into emotionally resonant phrases and elegantly structured sentences and paragraphs that leave an indelible impression on the listener. The first method is quick, easy and mechanical, but requires a disregard for the quality of the finished product. The second one takes time, patience, and pride – and if done well seems natural and effortless. I have to read these things. Most are the mindless formulaic type; they all sound the same, are as interesting as listing the ingredients on a side panel of a junk food wrapper, and make my joints ache. The really good ones contain impressive rhetorical flourishes and sound almost lyrical when spoken aloud. If similar methods apply to writing fiction, then l guess it would be easy for G. Martin to simply map out the plot lines and the characters in each TWOW chapter, apportion page counts, and use a dictaphone to quickly chronicle the mapped out fictional events like a dreary high school history book. I then re-watched Maisie Williams act out this Braavos dock scene on the show, and was amazed how, with facial expressions alone (and the way she held Needle), she captured and conveyed every nuance and every emotion of that internal monologue. I’m not a big Theon fan, but I realize that most viewers think Alfie Allen does a phenomenal job portraying his character’s damaged psyche with just his posture, gestures and facial expressions. There was a point to all of this… Oh yeah. That we might want to consider ourselves fortunate that we’re able to witness some phenomenal acting breathe life into some phenomenal writing. 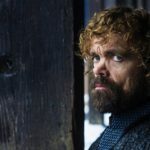 Therefore, assuming that the final 13 episodes of Game of Thrones don’t turn out to be total dreck like the final seasons of Dexter and Dawson’s Creek, wouldn’t it be better to have enjoyed 73 hours of G of T along with Martin’s already-published books plus the sample chapters of TWOW, instead of having all of the books finished but no show at all? With the likelihood of ever completing the last two books approaching 0%, Martin’s most tangible, significant and lasting contribution would be as script writer for Season 8,including the series finale. In the meantime, if he wants to write a new short story set in his fictional world, he’s earned the right to do that without any flak from disappointed fans jonesing for their TWOW fix. I read his blog and interviews. [I can’t edit comments on my crappy old cell phone. Also, it often freezes up when I try to delete and replace text. Sometimes the entire typed content vanishes. So I wasn’t able to retrieve the finalized version or revise portions that didn’t quite comport with what I was trying to explain. I did NOT intend to criticize anyone who expressed exasperation over GRRM’s unfulfilled express or implied assurances that TWOW would’ve been published by now. I just figure that realistically, there’s little reason to expect TWOW anytime soon if ever, and statistically, a 0% chance the last book will ever hit the shelves. I empathize with G. Martin; perhaps if I were in his shoes I’d announce I was throwing in the towel, and admit I was unable to finish writing a book that would satisfy my readers despite my best efforts and years of trying. Whether or not he impliedly promised to finish the final two installments of the series; or expressly promised to publish TWOW by a date certain, I wouldn’t attribute delays to indifference or irresponsibility on his part. I think he’s tried, but just can’t do it. There would be no shame in admitting that he has lost the spark, the muse, the mojo, the creative impulse, or whatever he calls it, and he has not been able to find it again. That would probably be better than annual cycles of creating expectations and then disappointing them. I’d rather he formally announce he’s abandoned TWOW, and then shock the world by releasing a masterpiece without advance notice. I wish he would do that for TDOS..
Because I still believe that TWOW will be finished by this year maybe released before season 8 .. 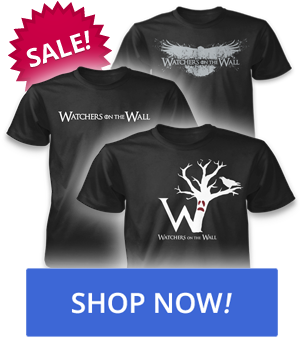 But once Winds is published and season 8 ends hope he just publishes snippets and plot points for the last book and how the events are supposed to lead and how the books end ..so with that info and season 8 fans will be satisfied..
Maybe he can’t start his own Pottermore where he get to answer the readers queries about the events in last book ..
That was quite the treatise! Where did you find the large soapbox?! ? Firstly, if you haven’t read the books, don’t believe the naysayers on the last two books. A lot of the lines you quote are from those books and they are beautifully written. Many people didn’t like them just because the blood and guts of the the first three are missing but they are well worth reading. Secondly, I don’t think that GRRM despises writing these characters at all. Quite the opposite, I think that he loves his characters too much which makes it difficult to write because each word must be perfect for them. I do agree that he is older (and much more famous) and that makes it harder to grind it out everyday but I do believe he wants to finish. So all we can do is patiently wait for him and hope that we see something this year. In the meantime, I’ll be happy to see any additional material that may be published elsewhere. The person I replied to said he missed the deadline in 2014. And I questioned how they would know that. You have linked me and others to the infamous January 2016 post which talks about him thinking he could have finished by October 2015. So my “fanboyism” can’t make me”ignore this too” since my question was about a supposed 2014 missed deadline, not a Halloween 2015 one. The trouble, IMHO, with the last two books is the (somewhat arbitrary) way in which GRRM and his publishers decided to divide the story by geography rather than temporally. if & when you do decide to read the books, and you get to the last two, please try the “Boiled Leather” reading list. The BL list integrates the two books into one reading experience. I had read these books several times before (no, I’m not a masochist), so when I read them with the integrated BL list, it was a much more enjoyable experience. ** Please don’t use the link until you’ve read the first three – the list itself might be considered spoiler. Ten Bears: Personally, I’d rather have Martin … write a few episodes for S8 …. I have long wondered if the author would have written episodes for seasons 6 and 7 he would have felt refreshed and able to focus on TWoW. See you there! 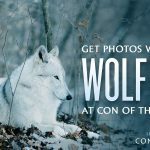 I recall two or three other WotW folks have posted that they will also be at the Portland show. ? No offence taken at all so dont worry. TBH I agree with most of what you say (although I confess I stopped halfway through -you wrote a LOT!) ? I do think GRRM is a great writer (obvz), and I certainly don’t begrudge him having a life etc. But I do take issue when he has given us repeated hints on the progress of the book and we’re STILL waiting. I mean, in 2015 he failed to meet 3 of his “self imposed” deadlines, despite the fact he was certain he could meet them as late as October 2015. And now its over a year after this, and he’s still nowhere near finished (which I have presumed from his recent blog entries). So that’s my point. He’s misleading his fans, and the reason I feel it’s unprofessional is because this is his profession. And he’s not meeting the deadlines he’s set, he’s simply not delivering, which the fans are become frustrated by ( and rightly so). The guy himself is disappointed with his lack of progress. So we’re equally justified in our frustration (and that’s not entitlement), as we’re the other half of this symbiotic relationship after all. Light of the Seven could foreshadow Arya’s future with Cersei or “Wildlife”? Uh oh. NOW I’m worried about Arya’s fate. Hopefully she doesn’t encounter any spiteful horses or murderous, pecking ravens on her journey out of the Riverlands. (It’s okay, predictive text hates me, too). Yes, I would love to meet up with everybody before the show. It would be fun to match people to their WotW names. 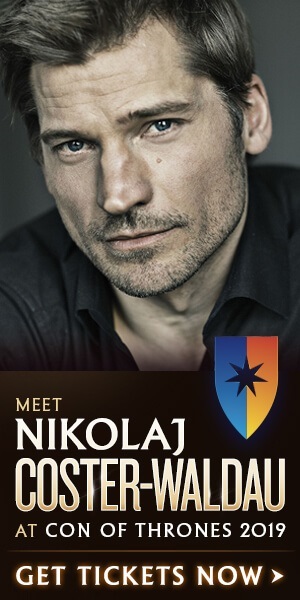 My husband thinks my participation in the fandom is weird but he is going with me to the concert and even agreed to cosplay at Con of Thrones! 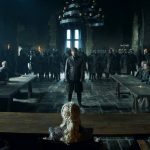 Luka Nieto on Game of Thrones Season 8 Episode 2 Promo Photos Released, Featuring Gilly, a War Planning Meeting, and Jaime’s Trial!